Domain Authority: is it a big fat lie? Domain Authority: is it a big fat lie? What it is, why it’s helpful and if it’s even real. Ross originally cut his teeth in a “big box” agency dealing with bluechip clients, such as national retail stores and global airlines. 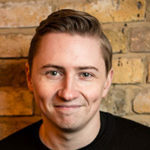 Ross now is the managing director of Type A Media, a team of SEO consultants based in London, all with Type A personalities. From being paid to meditate and go to the gym to 4 day work weeks – Type A Media approach consultancy and billable hours completely differently to most SEO agencies, which has led to their ongoing success. And a big thanks to CM81 for their lovely review. 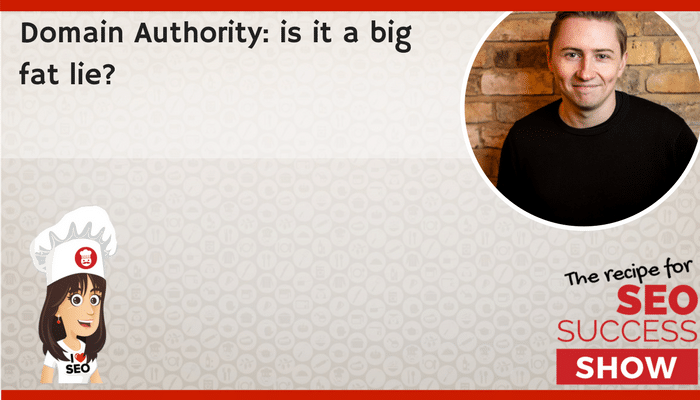 If you’ve been studying SEO for any period of time, you’re likely to have come across the phrase domain authority. It’s a term coined by Moz, the SEO software company, and they use it as a metric scale of a site’s ability to rank against its competitors. But while many swear that the concept of domain authority is real, many more assert that no evidence of its existence exists. In fact, you’ll find the more ranty SEO types getting rather sweaty whenever it’s mentioned. In this episode, I’m talking with Ross Tavendale about domain authority, what it is, why it’s helpful, and if it’s even real. 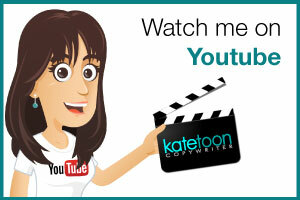 Hello, my name is Kate Toon. 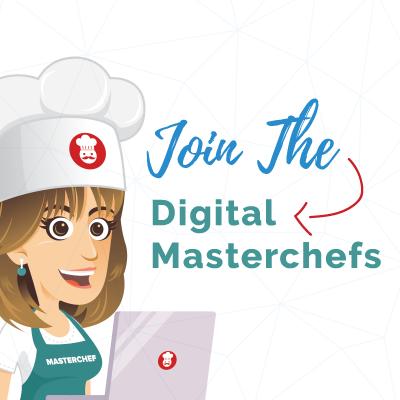 I’m the head chef here at the Recipe for SEO Success, an online learning hub for all things related to search engine optimization and I love SEO. Today, I’m talking to Ross Tavendale. Ross Tavendale: Hello, Kate, how you doing? Kate Toon: I’m very well, and you’re the second Scottish person in a row on this podcast. Do you feel honoured? Ross Tavendale: I don’t feel honoured but I’m pretty sure that the Scots are taking over search one bad accent at a time. Kate Toon: Yeah, well I wonder what it is with Scottish people and SEO, what’s that about? Is there some kind of connection there, do you think? Kate Toon: That would be really sad. Ross Tavendale: It really would. Ross Tavendale: I don’t know, it’s this kind of lost children’s thing and the idea I think behind it is there’s just kind of industriousness to Scots and a kind of entrepreneurialism to them, even if it’s selling things down the pub, that’s always kind of ages up into search and because it’s free and easy to get stuck into, I think that’s probably why that kind of wheeler dealer thing kind of jumps out as us. Kate Toon: Maybe. I think it’s just because it sounds so nice when you say SEO. Anyway, moving on. I’m sure you’re going to say SEO a few times in the episode. That’s my brilliant Scottish accent, by the way, it may come out more as the episode continues. Anyway, let’s hear a little bit about Ross. Ross originally cut his teeth in a big box agency dealing with blue chip clients, such as national retail stores and global airlines. Ross, now, is the managing director of Type A Media, a team of SEO consultants based in London, all with type A personalities. We’ll have to talk about that a little bit. All Type A consultants are told a billable hour is not a billable hour, meaning that it’s not the time you spend on a project that matters, rather your output and results. Effectiveness equals productivity. They take this very seriously and, as a result, they only work four day weeks, nice, get paid to meditate and work out and get perks like free laundry service provided by the company. This completely removes distractions and makes them more resilient in the workplace meaning they can focus on what matters, providing world-class service to their clients. So, I think my first question is, Ross, can I have a job? I want to get paid to meditate. Can you ship me over? I’d be good. Ross Tavendale: Yeah, like, making people meditate, giving you free gym membership, laundry, one of the most hated tasks in the world, nice perks. Kate Toon: Nice perks, nice perks. I’m not sure what type personality, I think I have a type Z personality. I’ll have to look it up after the show. But anyway, let’s get stuck into the episode. As you know, from listening to previous episodes, we always start with a bit of interesting SEO or marketing-related news that you’ve been reading about this week. So what’s caught your attention this week? Ross Tavendale: There was a, perhaps not this week, I think it was the week before, it was a great blog post by potent dot com, Ian Lurie’s business. They released something on changing the way pagination works. Now without getting too heavy, and too technically SEO, he essentially looked at, literally, if you’re on a blog and you’ve got blog page one, two, three, four, all the way up to however many pages you’ve got, he literally just experimented with adding middle points and adding more numbers to that list to see if it affected crawl rate. And my inner SEO dweeb was very, very happy with it, so I’d highly recommend you go and look at their blog. It was very good, very informative. Kate Toon: You can tell you’re a geek if a blog about pagination makes you get a bit tingly. That says a lot. No, I look forward to reading that. What I’ll do is I’ll include a link to that in the show notes at the bottom of the episodes. I think another thing, by the time you listen to this, it may have been a few weeks ago, lots of us were bombarded yesterday with announcements about Google Search Console’s new beta site. Have you checked it out yet? Have you had a play? I’ve been playing with it for a little while. What do you think, Ross? Do you think it’s an improvement? Ross Tavendale: Yeah, absolutely. I mean, we got early beta access because we’re very lucky to work with some relatively large brands and just purely having that, I think we get 16 months now of back filled data, which is really nice. You can start cutting, like, even just the interface is nicer. You can cut things up now according to average position and it’s gorgeous. It’s definitely a massive step in the right direction. I think a lot of the techs out there will probably want, as soon as it gets rolled out to the API, will all be very, very happy. But no, it’s great improvement. It always drives me crazy, though, because obviously I run a big training course and one of the modules is a very comprehensive guide to Google Search Console and you know these things are coming but they never kind of tell you the exact dates, you just finish the tutorial and then they redesign the interface and you have to do it all over again. Thank you, Google. Anyway, at least you keep me busy. Okay, so let me start by explaining what domain authority is for our listeners who don’t know. Domain authority or DA is a search engine ranking score developed by Moz. And for those of you who don’t know who Moz are, they are a software as a service company based in Seattle who sell SEO software, founded by Rand Fishkin who, as you know, was the first guest on the first episode of the podcast. Thank you very much, Rand. Domain authority is a score that predicts how well a website will rank on search engine result pages, or SERPs. The domain authority score ranges from between one and 100 and, according to Moz, the higher the score, the better a site’s potential ability to rank. Moz also gives individual pages of sites page authority scores, or PAs. We have DA and PA.
That’s a score that indicates how the potential that individual page has to rank. Moz uses a number of things to calculate their domain authority, but the main elements are the total number of links to a domain and the total number of link linking root domains, so the total number of actual sites linking to sites. It’s calculated on a hundred point, logarithmic scale, based on a website’s popularity. MozRank, MozTrust, et cetera. So what that means by logarithmic, gosh, I hate maths, is that it’s significantly easier to grow your score from, say, 20 to 30, then it is to grow from 70 to 80. It gets progressively harder the higher you go up. The score can be used to measure yourself against competitor’s sites. So once you know your own domain authority, you can look at your competitors. If they’re lower than you, then potentially you have the chance to rank above them. If they’re super much higher than you, then it’s going to be a bit harder. It can also be used to evaluate your ranking strengths of your site over time. So you started off in January with a domain authority of 10, and by August, you’ve got a domain authority of 15, well then, things are going well. Moz has a free tool that helps you evaluate your website’s domain authority called Open Site Explorer and you can also download their Chrome extension, MozBar. I’ll include links to these in the show notes. In terms of what makes, I will stop talking in a minute, Ross, and let you get a word in. In terms of what makes a good domain authority, it does vary. 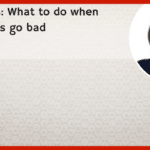 I’ve got a little graphic in the show notes that gives you some idea. You know, like, for your industry, if you’re a business, you’d be wanting to have a domain authority of around 60 to 70, obviously the higher the better. But I’ve very rarely seen sites with super, super 80 plus domain authorities. So, that’s an explanation. I’m just going to cut straight into it. Let’s get straight into it and I’m going to say to you, Ross. Ross, do you think domain authority is a real thing or just something that Moz invented to sell their software? Ross Tavendale: Very good question. I mean, it’s a real thing as in it exists and it’s a number between zero and 100 to rank the relative power of a page or whatever. It’s kind of like, the way I think of DA, it can’t really be used in isolation. It’s kind of like if you, say you’ve got six-pack abs but the only reason you’ve got six-pack abs is because you’re malnourished. It’s like, well, yeah, I get that but I can also see your ribs. DA on its own doesn’t really do anything. And if we’re talking about DA as a measure of site potency or using that as a metric to look at over time, what we would realise is, the way that that is calculated is by looking at other sites and the way, creating a relative score. For example, let’s say the BBC is 100. Now, every time the BBC gets a link, what it means to be 100 physically changes, because as the upper end of sites get stronger and stronger, that means what it takes to be 100 gets higher and higher. Actually, the notion of DA over time doesn’t really work, in my personal opinion. I’m a big fan of using it with other metrics and it’s a good kind of general indicator to the kind of quality of something at a glance, but it probably shouldn’t be looked at in isolation. In terms of are Moz using it to sell Open Site Explorer, yeah, probably, but I mean I think it’s a really good metric to have a look at. When PageRank kind of died off quite a while ago, there was no quick and dirty way to work out relative value. I’m a much bigger fan of Majestic’s data, Trust Flow and Citation Flow, because I feel it takes in more data points and gives you more accurate representation of what’s going on. But, yeah, I mean, in terms of a metric, yeah, it’s totally fine but it can’t really be used in isolation. 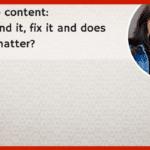 But I think the problem that DA can cause is people get very attached to it, as they do with any metric, you know, people will get obsessed with bounce rate or whatever and, as you said, in isolation going, “Well, I’m going to spend this year working on my domain authority,” I don’t think that’s particularly helpful. It’s a bit of yardstick but I guess the deeper question there is more around link authority. So there’s a belief in the overall power of links pointing at a website. As you mentioned, if you get a link from your mom’s blog, it’s not as powerful as a link from the BBC. It’s called different things from one site of another, you might have heard of SEO juice or SEO mojo or link authority, whatever you want to call it. The idea is that a high authority website links to you, it’s better than a crappy low authority website linking to you. The idea put very simply is, it’s better to get links from high authority websites than it is from low authority websites. Given that very broad description of it, do you believe that link authority exists and that that truth surrounds high authority sites being better is a truth. Do you believe in that? Ross Tavendale: Yeah, I absolutely do. To the point where, if a client asks me for link targets or link numbers, we just don’t do that. We’ll pointblank refuse. Reason being is, you know, you said that at the start, DA is a logarithmic scale, it’s not a linear scale, meaning that if you get 10 DA 10 links, it’s not the same as getting one DA 100 link. So a DA 100 link is to the power of 10 multiplied by 10. So actually just getting one or two very good national newspaper or magazine link is way better than getting a handful of blog links. We’ve seen this time and time again with clients where they would have, we’d do a campaign and we’d get four or five really great national press links. They’d go from a couple of keywords in the index to several thousand keywords in the index because it completely shifts the way Google looks at the site. Now, are lower authority links low value and you shouldn’t get them? No, absolutely not. It has to be in a diverse, natural looking link profile. When it comes to getting links in to connect deeper pages or, if you’re in the affiliate world or the kind of grey hat world, that’s what you call the money pages, if you like, the kind of converting pages on your site, yeah, I mean, it’s much easier to get those links and you can direct them into kind of deep pages. They’ve all got their place but it just really depends on where your business is at any point in time. If you’re a massive company with huge amounts of inbound links from great, quality sources, you probably want to go and look at some of the more partnership level stuff, local blogs and things, so you can kind of sculpt that into deep, conversion-led pages. If you’re a small business, though, I would really treat this the same way that venture capitalists treat investment in start-ups. They’ll invest in 10 start-ups in the year, they only need one to work. It should be the same for your campaigns, in my opinion. If you invest in ten campaigns in the year, you really need two or three of them to work and it will completely change the way your website works and your traffic. Or, at least, that’s what we see with our clients. Kate Toon: Yeah, I agree. 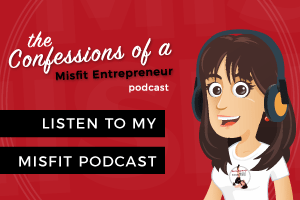 I think there’s fear for small business and solo business owners and DIY is their link, as we’ve talked about before on this podcast, it’s abouts quality, not quantity. 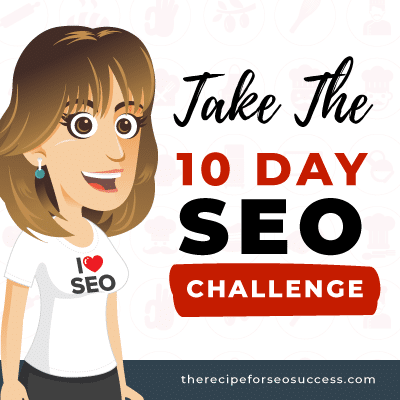 If you’re working with an SEO company and they kind of give you some kind of guarantee that they’re going to build 30 links a month, it’s kind of meaningless because honestly they could build one link from a very good source and it could be better than those 30. And when, if you’re approaching your own link building or link earning, it’s really worth putting the time and effort in to getting a link from, as you said, a media source, doing a press campaign, doing something media-worthy, building a relationship with another brand. It may take longer but that link will probably be worth lot more than all those crappy little directories and freebie link packages you can buy on Fiver. Very important to think about quality over quantity. The truth is that, on my own website, I don’t actually have many links form high authority websites, but I still rank very well for all my chosen keywords. I’m the same, as we talked about, we want to have a natural link profile, it should be natural. It shouldn’t just look natural, it should look natural. So, I’ve never been somebody who’s gone out and actively pursued links. Now, for your own clients, how has that transpired for you? So you mentioned there that one big link from a media source has a made a massive difference to some of your clients. 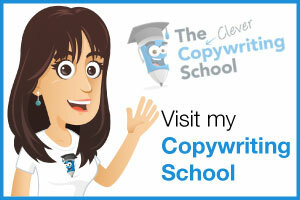 Just talk us through how high authority website links have worked for you and your clients. Ross Tavendale: Yeah, I think the big thing with any service provider is you need to kind of prove your worth very early on. 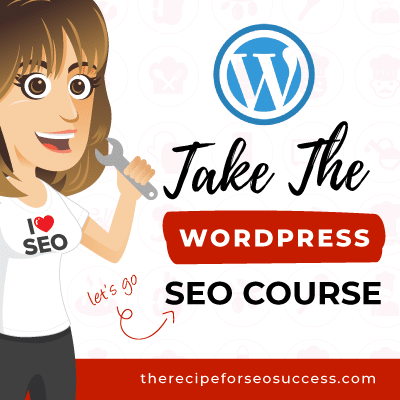 You usually start off with some sort of forecast, which is another topic which I’m a little nervous about because forecasting SEO is very definite and slightly nefarious so I’d always take SEO forecasts with a pinch of salt. When you start to do this stuff, I think you need to have a very honest conversation with the client ahead of time and let them know that, we talk about something called flop risk versus algorithmic risk and it’s an inverse relationship between flop and algorithmic risk. Ross Tavendale: If you think of a campaign to get big links, like big media links, the flop risk is higher but the algorithmic risk is zero. However, if you do a bunch of guest posting of, like you mentioned, get directory links or indeed buy links, the algorithmic risk is way higher, as in Google may discover them or treat them negatively and it may damage you instead of help you, but your flop risk is considerably lower. So when I buy a link or if I buy a PBN, which we don’t do, our tagline is, “We’re more white hat than Moz,” which is obviously ridiculous. But if you’re doing some slightly nefarious activity just to get the numbers up, yeah, you’re going to definitely guarantee links happening and you’ll see incremental gain over time if you’re not busted and you’re not penalised. The media stuff, the kind of back link stuff, is very much hit or miss, but when you hit, you really, really hit. It’s just about having that conversation and sitting a client down and making sure they feel comfortable with that and making sure you’re doing enough other SEO activity to show them incremental, organic traffic gain so they’re not paying a retainer month on month and nothing’s happening, because that’ll get you fired really quick. Kate Toon: Yes, that’s the thing. People want quick results and sometimes these big media-type links take a long time to build up the relationship and make happen. But when they pay off, they pay off big. So, another question, since we’re talking about link authority. Where do you stand on the idea that no-follow links still pass some authority? Because again, there’s lots of discussion about at in SEO circles. Ross Tavendale: Yeah, I think we probably need to separate authority from trust, or from page rank, should I say. If we’re looking at a no-follow link, it does not pass page rank, that’s been said multiple times by Matt Cutts when he was head of WebSpam, to Gary Ilyes I think that’s how you say his second name, to John Meuller. 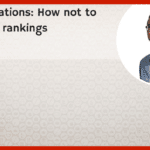 They all say that no-follow doesn’t pass page rank. That doesn’t necessarily mean that it doesn’t pass trust. We all know that Google’s got a seed set of websites that it starts to trove from and the amount of steps away you are from them will indicate relative trust. Now, if you’re telling me that by getting a link on a Wikipedia page, for example, because you’re an authority in the space and that’s naturally happened, that’s totally worthless or if you’re in a nationally syndicated magazine that just happened to have no-follow on their sites for all external links, that that’s worthless, I think that is utterly insane because you’re close to a trusted source. Now, is it going to pass page rank? No, but I don’t think we should get hung up on, I think you called it SEO juice earlier, instantly made me thirsty. Probably doesn’t pass that, but that’s not the whole story. It’s a much more complex, I mean there’s over 200 signals that they’re taking into consideration at one time and I think it’s real easy to get caught up in the whole links that pass equity thing. Kate Toon: Interesting, that’s a really great answer. Thank you for clarifying that, that’s great. Look, whether we agree or not that link authority is a thing, Gary Illyes, I think it’s Illyes, we’ll have to check that after the presentation. Gary Illyes from Google has previously remarked that Google does not use a domain authority metric. Should we believe it when Google makes statements like this? Ross Tavendale: I think we should do what we do with all Google stuff and treat it like it’s some sort of riddle. Because that’s always like, that as a statement, so in a court of law if he was to say they do not use a domain authority metric, he’s probably correct. They don’t use something called a domain authority metric. So they don’t use Moz’s DA or something like it, but they’ll definitely use some level of scoring to look at relative value of links past a page. So we all seen the original paper on page rank and how it passed, of course, it doesn’t work to the same degree like that anymore, but of course, are we trying to say that if we get Bob the Builder and all of this friends to link to your site and then we get the BBC and CNN and the Sydney Herald to link to the same site, that that’s going to be the same thing? Obviously not. Maybe they don’t use DA or domain authority, but we just need to read into the riddle. They must [crosstalk 00:30:21]. Kate Toon: Reading between the lines is an art with the Google statements and I think often people take them too black and white and I think there’s a lot of subtlety there that people miss, so great. Now, you’ve talked about this already, but we’ll just go over it again for those people who aren’t overly familiar with this topic. We talked about domain authority and you mentioned several times domain trust, the idea that if you get a link from a trusted domain, some trust will come your way and you came up with a great analogy there, the six degrees of separation, that the closer you are to a trusted source, the kind of more, let’s not call it trust juice, because I don’t want to get back into juice realms, but some trust if not page rank will follow. Can you just clarify what you mean there? Just a little bit more. Ross Tavendale: Yeah. There’s two ways to look at, there’s lots of ways to look at the value of a given link. You can look at just pure raw power. Is this on a place, is this on a website that if we look at the website’s back link profile, it’s got a lot of powerful domains pointing to it and if you look at their back link profiles and keep going multiple steps back, it’s all good quality and it’s all pointing up the way. So that’s the raw power thing. You’ve also got physical number, as well, so like the physical number of links that are pointing in. It then comes to there must be a point where there’s a criteria that you’re trusted or you’re not trusted. So if we look at the world at large, look at how the banking system works and how money works, there’s a set of criteria that someone’s made up that says, “We trust these things to be true and we’re all going to agree to these rules and that’s how we’re going to act in terms of how currency works,” et cetera. The same must be true for the way that link equity works, in that they must be able to look at a subset of site that have been around since the dawn of time connected to massive corporations where 90% of the world’s information is consumed and 90% of the clicks in the world happen. They must be able to look at that and say, “This is probably a good source of what they call trust. Therefore, if anything is linking out from this, regardless if it’s no-follow or not, it’s probably a good thing.” That’s my thoughts on it. 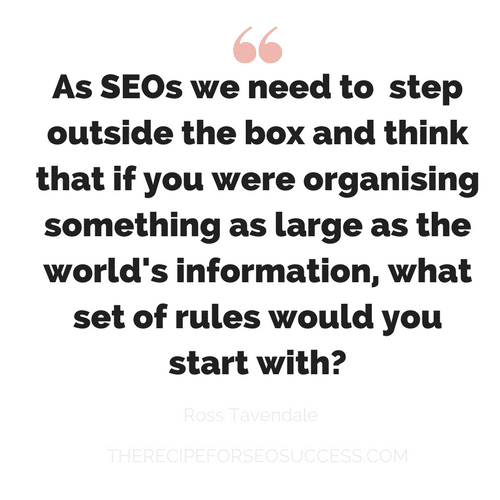 I think as SEOs, we probably need to take a little step outside the box sometime and think of if you’re organising something as large as the world’s information, what set of rules would you start with at first principles? What does that kind of mean for you doing your link building? Kate Toon: I think that’s brilliant. It’s common sense, isn’t it? So common sense sometimes comes into play. Let’s finish up talking about link building a little bit. If we decide that, you know, whether we’re going after domain authority or domain trust and we want to try and build ours up, we’re looking at the metric and we’re only at two, we’ve got a domain authority of two and our closest competitor has a domain authority of 30, how do we work towards improving our domain authority? Just some top-level link earning tips. What would you recommend to a small business person who doesn’t have a huge amount of resources or a fabulous Type A team working for him or her? Ross Tavendale: So, I’m going to slightly whore myself out and say I wrote a great blog post about this. It was called, I know, I know, I’m a nightmare. It’s called “Killing Giants,” and it essentially was looking at a small business owner who had a grand or so in terms of the budget and how we were able to beat people like TripAdvisor and the search for their key terms just by being smart about link building. First things first, you’ve got a natural advantage if you’re local because you’ve got all the relationships and the major brands do not. So play on that. 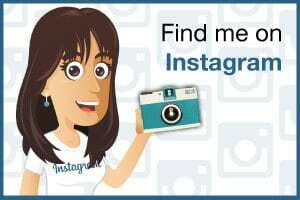 If you’re a travel company, for example, who’re all the local restaurants, do they have blogs, do they have sites? You should be going in, you should offer them to do a review, the whole thing. Go make friends, get them to link to you. The other thing is we were talking about this big media thing like it’s some sort of untouchable thing for small businesses. The way that we do all of our media stuff, it’s not spending tens of thousands of dollars on creative and then seeding it out. It’s literally just coming up with a good story that connects the client and kind of coming up with a good spin on it. So what’s newsworthy in your company or even in your industry? I’d start looking at something like that and just putting them together. We like to juxtapose two totally separate data points, create a story out of it, and then off we go. The secret with that, if you’re doing any sort of data journalism, is have all the messy data tables in your blog post. Have a nice clean press release with the top-level information so if it does hit syndication, you’ve got a valid place for that journalist to link back to because that contains the raw data. I would say that, I would also, like, dream big and try and get some sort of micro-fame in your world. I’d love annoying everyone in the SEO industry by saying that I think brand is the biggest SEO signal, which is obviously fluffy nonsense, but it’s kind of true. If you’ve got really good micro branding in your world, things can happen. Classic example perhaps, Kate, is this podcast. I’ve got relatively good micro branding and a tiny little subsection of the search world which has allowed me the privilege of being in this podcast, so, I would ask them to look at that, as well. Kate Toon: It actually has absolutely nothing to do with your micro branding, I’ve just got a thing for Scottish people. You thought it was your branding but I’m just working my way through the Scots. I think those are really valid, valid points. I think often small businesses, when they think of press release, they do things like, “We got a new carpark space!” And they write a press release about it. You’ve really got to be clever with your press release. Sorry about the crazed dog in the background, I may write a press release about the rabid dog in someone else’s back garden that’s barking through my podcast. I think you’ve got to try and find, I think, as you mentioned, coming up with some data, like doing a survey or developing your own statistics around something so you have a story that no one else has. A little bit of quirk never goes amiss, as well. I think that’s really powerful. Another thing you can do is write a blog post about how to get back links, go on a podcast and mention it, and then the podcast will link to it, because they have to, because he’s mentioned it. So I will link to Ross’ podcast about slaying, killing giants in the show notes. You can go off and read how they’ve done that. So that’s a little trick, as well. I was interested, though, we won’t go into it in too much detail because we’re coming to a close but once you get a citation, for those of you who don’t know that is just a mention of your business, that it is a really good idea to go out to whoever’s mentioned you and say, “Hey, would you write a link to us, as well?” Most of them won’t unless you give them a reason, I think that’s fantastic, having extra information and more gritty low-level data or high-level data on your blog gives them actual, genuine reason rather than just, “Please link to us because we want you to.” I think that’s really fantastic. So, hey, we’re at the end of the podcast and I think we can both agree that, well hopefully we can, that DA is not an end goal. 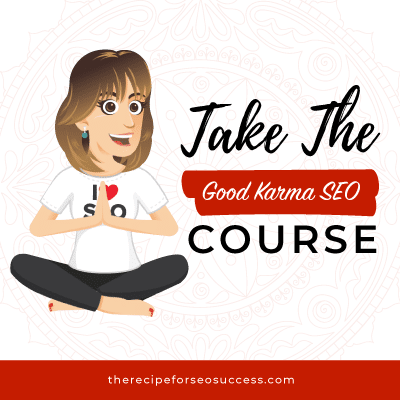 It’s, we want to aim for a higher score, yes, and it can be a useful metric when you’re starting out to kind of get your head around trust and authority and where you sit in the whole world of the search engine result pages. But, in terms of using it as a hard metric to measure everything you do against, that’s not what we’d advise. What final points would you like to share with the audience, Ross? Ross Tavendale: I’m going to say something slightly cheesy because I’m seeing it a lot, especially with the small business owners, is think a little bit bigger and dream a little bit bigger. That’s my cheesiness. Kate Toon: Oh, that’s so cheesy! Start thinking of yourself as someone, think of like how can I make my business famous in my own little way and I’d start building your ideas like that because one thing, the partly message for me is the press at the moment have got bad incentives. They’re paid on a CPM rate, meaning that every thousand views they get a couple of quid and because of that, they’ll do anything for the click. That’s why we’ve seen the rise of all these kind of Facebook pages and all this kind of junk journalism. We hire journalists all the time to do our PR and they need to write eight to 12 articles a day. My articles takes me four days to write, so doing 12 in a day is insane, and PRs are now furnishing them with a bunch of content information so they can publish wish. You can get in on that action, the news cycle is getting faster and faster and faster. They’re looking for anything that’s kind of micro-related to their audience so jump in, go for the high end stuff, and I think you’ll be very surprised at how quickly it works out for you. 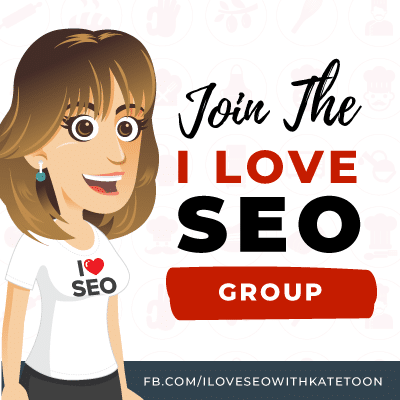 Kate Toon: Fantastic, and we actually have an episode coming up a couple of episodes from here talking about using PR and the media to boost your SEO. So, keep a listen out for that, a couple of episode’s time and we’ll give you some tips on that. Thank you so much for being on the show, Ross. Ross Tavendale: Thank you for inviting me, Kate. It’s been an absolute pleasure. Kate Toon: Lovely, and thank you for the dog for barking throughout. I hope that helped spoil it for everybody. You’re probably all listening to it, wherever you are, thinking, “Where’s that dog?” Don’t worry, it’s here. It’s not there. Thank you, Ross, that was fantastic. You’ll find more about Roz on the show note, Roz? Sorry, I’m losing my mind. Ross on the show notes, we’ll have a link to his site and to his article and you can follow him on Twitter and Facebook and wherever he is. Thank you very much for your lovely review and if you like the show and enjoyed it today, found it useful, then don’t forget to leave a 5-star rating or review on iTunes, Stitcher, or wherever you heard this podcast. Your review will help others find the show and learn more about the lovely world of search engine optimization, and you get a shout-out on the show. 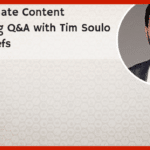 And, as I said, don’t forget to check out the show notes after the episode at the Recipe for SEO Success dot com, where you can learn more about Ross, check out the useful links, and leave a comment. 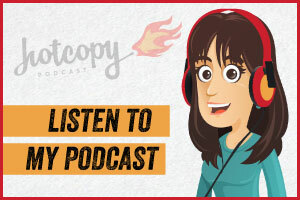 And finally, don’t forget to tune into my other podcast, the Hot Copy podcast, a podcast for copywriters, all about copywriting, and the Misfit Entrepreneur podcast, which is about being a misfit entrepreneur, surprisingly enough. That’s it for this week. Until next time, happy SEOing.